On a special Saturday edition of Liberal Dan Radio I will be broadcasting live from Rising Tide X at Xavier University at 10 am Central. I will have an open mic to join in the conversation live or you can call in as usual. All topics relevant to Katrina are on the table. From the good, to the bad, to the ugly everything should be on the table. It is my opinion that while some people may have Katrina fatigue that we never allow anyone forget what happened to us in New Orleans and the Gulf South. If you see me at the convention I will half the reward levels from the Liberal Dan Radio GoFundMe for t-shirts and bumper stickers. Liberal Dan Radio 08/26/2015: SKOOKS! On the August 26, 2015 episode of Liberal Dan Radio the first half of the hour will be a random discussion of various topics from the past week. Open lines too if you have anything that you would like to discuss. Some topics include the bizarre notion that liberals are racist for supporting gun control and Donald Trump kicking a Hispanic member of the press out of his press conference. Then at the bottom half of the hour I welcome on Jeffrey, author of one of the best New Orleans blogs: Library Chronicles (or as some call it, the Yellow Blog). He will be on to discuss more of #RisingTideX. It should definitely be an interesting show. Those topics plus headlines, tweet of the week, and more at 8pm Central on Liberal Dan Radio: Talk From The Left, That’s Right. Remember that you can always contribute to the program by donating at the Liberal Dan Radio GoFundMe page. You an also help fund Rising Tide by clicking on their GoFundMe page as well. The Republican debate took place last week and nobody was really surprised at what came out of it. I will go over some of the comments from the debate, expecially the anti-woman stances taken by the all male “adults table” prime time version. Then I will be talking with Candice Detillier Huber, owner of Tubby and Coo”s Mid-City Book Shop in New Orleans. She attended Gen Con and was interested in a panel that would be taking place about women and comic books. The panel itself turned out to be a disaster and Candice will be coming on the show to discuss what happened and the aftermath when she determined that she would no longer be carrying works done by the moderator in her store. 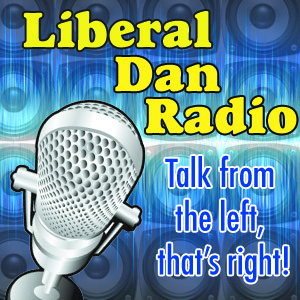 Those topics, tweet of the week, headlines, and more Wednesday at 8pm Central on Liberal Dan Radio: Talk From The Left, That’s Right. Remember, you can always contribute to the podcast at the Liberal Dan Radio GoFundMe page.